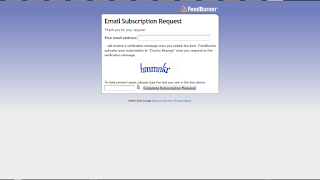 The "Subscribe by Email" gadget does not work, with dynamic templates. 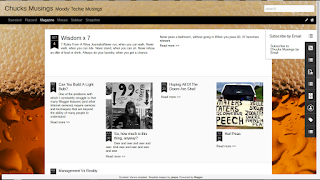 Add "Subscription Links" to a blog with a dynamic template. 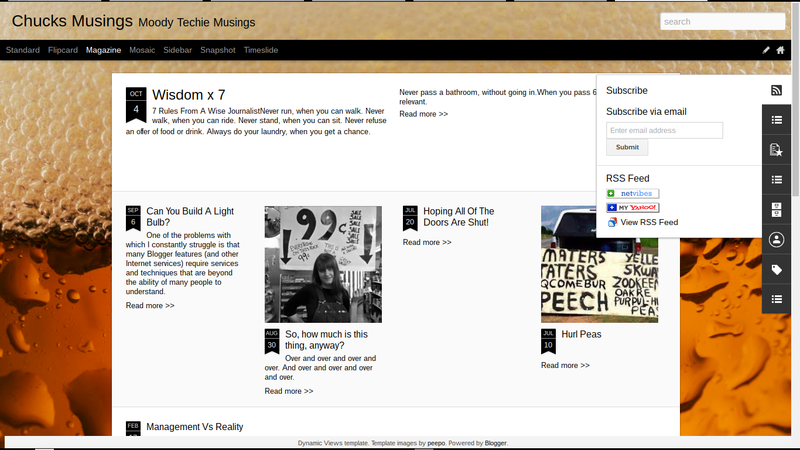 For email subscriptions, and a blog with a dynamic template, you use the "Subscription Links" gadget. Here is my blog, Chucks Musings. 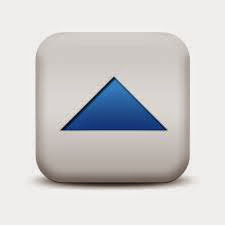 Use "Subscription Links" with a blog that has a dynamic template. 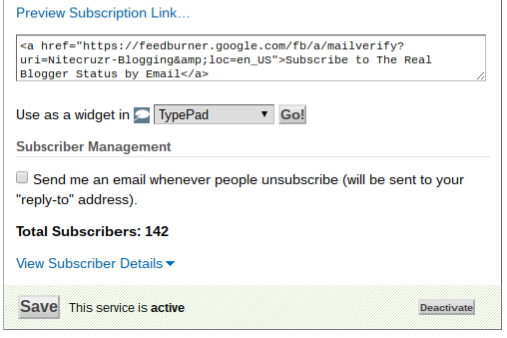 When you add "Follow by Email" to a blog with a non dynamic template, it sets up the "Email Subscriptions" service, in FeedBurner. "Subscription Links" is a collection of various subscription services - and won't activate "Email Subscriptions". You may need to activate "Email Subscriptions". You will probably need to activate the "Email Subscriptions" service, to use "Subscription Links" instead of "Follow by Email". 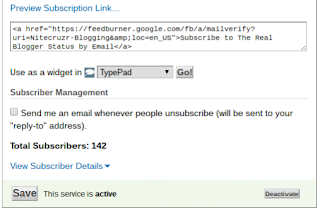 To use "Subscribe by Email" as a selection in "Subscription Links", be sure that the "Email Subscriptions" service is activated, from the FeedBurner dashboard. Alternately, add "Subscribe by Email" in a linklist gadget. Sometimes, you may not want to use "Subscription Links". So, just add the "Subscription Link Code", in a linklist gadget. Here, we have a new sidebar accessory. 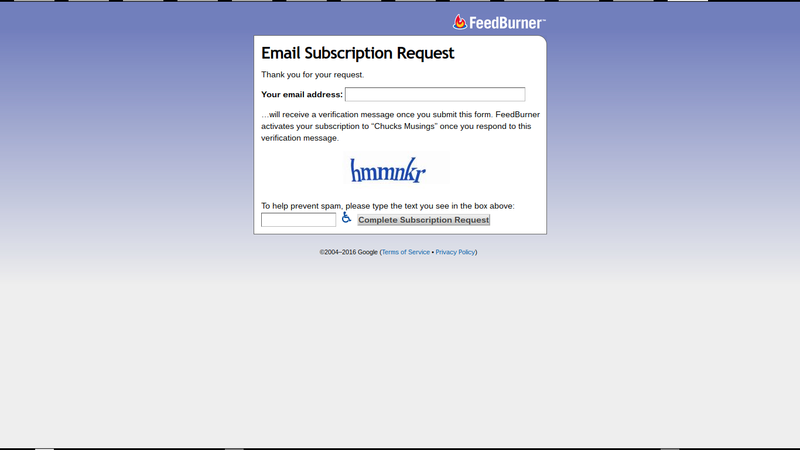 And when you click on the link, you get the familiar FeedBurner "Email Subscription Request" verification form. So, either add "Subscription Links" - or make a custom LinkList accessory. 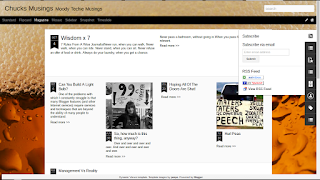 One, or the other, will give you "Subscribe by Email", in a dynamic template. Owners of #Blogger blogs, wishing to provide email subscriptions, find that "Follow by Email" won't work with a dynamic template. Fortunately, "Subscription Links" will provide email subscription - though the necessary FeedBurner service has to be activated.